Diversity continues to be a key priority for companies, as many organizations work to improve their inclusion initiatives. HR departments are leading the way in creating workplaces that are welcoming to a full spectrum of employees, regardless of gender, race, sexual orientation and other factors. These initiatives ensure that all employees feel valued and have processes in place to address any concerns that come up. Maintaining these programs while working with staffing agencies and their temporary workers can be challenging, but also brings its own benefits. First, make sure everyone understands what the company’s diversity policies are. Staffing agencies are better able to recruit the right candidates if they have a clear understanding of what the company is looking for. HR departments can ensure they’re meeting their overall goals by sharing clearly-defined policies with their staffing agency counterparts. Once temporary workers have been hired, make sure to include diversity training as part of their onboarding. Even if their tenure will be brief, it’s important that they understand what the company is doing to promote inclusion. Just this simple act goes a long way in building inclusion among all employees. Temporary positions offer companies a great way to meet changing diversity goals. 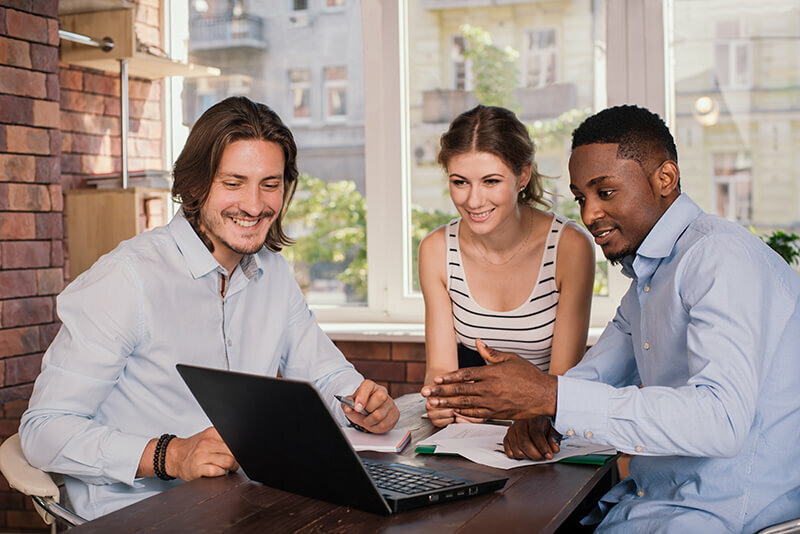 Working with a staffing agency can help companies reach out to different geographic areas, demographics and physical abilities to put together the most diverse set of candidates for the company, according to an article on hrdailyadvisor.com. Staffing agencies have the benefit of deep networks and can often pull from these networks faster and more easily than a company’s recruiter. They can also provide reporting to show progress on the company’s diversity plans. Due to the higher rate of turnover with temporary positions, companies will be able to gather more feedback from their temporary workers. Include specific questions about the diversity and inclusiveness program as part of any exit interviews and share this information with both the company and the staffing agency. Often, temporary workers will have some valuable insights as they’ve worked with a number of different companies. This feedback can help shape the company’s programs and make sure that both full-time and temporary workers are benefiting from it. When staffing agencies, temporary employees and companies work together, they can show great progress on their diversity initiatives. Following a few key strategies is a great way to make sure that companies are reaping the benefits of a more diverse workforce.